While listening to Electronic's 'Raise The Pressure', the thought struck me that if there was one man who would be able to shed light on so many aspects of modern music, especially electronic and multi-media, it would be the legendary Karl Bartos; guest member of 'Electronic', classically trained percussionist, keyboard player, guitarist, composer, solo artist, university lecturer and one-time member of another very famous, innovative band. As I'm not 'commissioned' to interview people for NOOL (Nic gives me the freedom to use my own initiative) I get the opportunity to interview people and bands that I like, as well as a few heroes. It's a really cool way of working, maybe too 'Factory-like' sometimes, but people have been very kind and patient in giving up their time for us. That wasn't the case. During two relaxed afternoons, he was good enough to give up his time. NOOL: Hi Karl, welcome to NewOrderOnline, thanks a lot for chatting with us. NOOL: (I laugh) Okay, well I've been a regular visitor to your MySpace page over the last year and the music you have there is very individual. How did you first decide to become a musician? Your work is very varied, so what have been your musical influences? Karl Bartos: When I was a kid I was listening to my sister's records. She was in love with an English soldier and he brought in the latest Beatles' and Rolling Stones' records. I must have been 12 or so. That was it, I was mesmerised by that sound. It seemed to be brand new, but it was as if I'd had that sound somewhere within me for so long. That sound could "speak out" something that I could not express, but I could just feel. The music was wild and free, but at the same time it would establish a new order in my life. Suddenly it gave me a direction: I wanted to be a musician. The music in the 1960s was really, really good and it made perfect sense to a post-war youth within that very rigid society. NOOL: A lot of the popular music in the 1960s was mostly guitar-orientated, so did you start off wanting to be a guitarist like many young people? What made you move towards the more synthesised sounds? Karl Bartos: First of all – and this hasn't changed so much – I don't care so much about the source of a sound. It can be produced by the ambience, a voice, a guitar, a piano or a synthesiser. It's more a question of the meaning and the quality. And being a youngster, I didn't care at all, really! I took my sister's guitar and started to play. Well, I tried hard at least. The first bands at school ensued of course, and I got my hands on the drums and the organ as well. Playing guitar and singing was the best job, I thought. We were performing stuff from The Beatles, Elvis (Presley), Ray Charles, Chuck Berry, Motown, The Kinks, Small Faces etc. That was great; we didn't do it for the money then. It was the sound, the social feeling within the circle of friends, the girls and the acceptance of the audience. So, I could not express that at the time, but I wanted to be on stage producing the sound and not off stage, spending my leisure time on the dance floor and simply being a consumer. Sorry, coming back to your question: There wasn't a sine wave in sight! NOOL: What did your family think about your musical ambitions at the time? How did making music for enjoyment become a full-time job? NOOL: They are pretty cool influences you listed. Have you ever thought of recording a jazz album? Who would you say was your 'percussion hero'? Karl Bartos: Ha ha… 'Percussion hero'...? 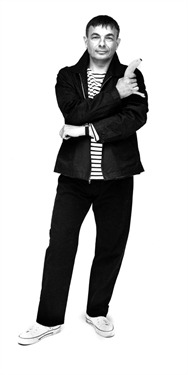 In 'pop' music it's Ringo Starr, of course. In classical music, probably composers like Carlos Chaves, Edgar Varèse, Igor Stravinsky, Béla Bartók to drop a view names in. But if you listen to J.S. Bach – Die Brandenburgische Konzerte, for instance – you will find amazing off-beats as well. NOOL: You've been a music pioneer for a long time now. Wolf (Wolfgang Fleur, friend and ex-band member) talks a lot about you in his book, 'I Was A Robot'. Have you read it? How do YOU feel when you think about your time with KW and how did you feel about leaving the band? 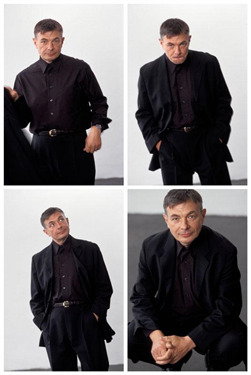 Karl Bartos: Yes, I read his book. It is very personal; it's Wolfgang's perspective, of course, not mine. If you want to know about my former band you should just listen to the music. It's all in there. NOOL: That's a fair answer. So, how do you approach your solo work? You produce your own work in the studio - is it difficult to be objective about that? 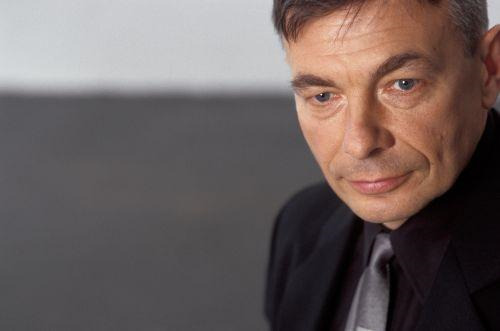 Karl Bartos: Everything I experience goes into my music. I can't separate my life from my work really. I am thinking 'sound' - all the time. And since I'm teaching at the Berlin University of the Arts I am exactly where I wanted to be when I started off. It's the secret of music, that's what I feel my life is all about. NOOL: You use vocal effects quite a lot - tracks like 'The Young Urban Professional' spring to mind as well as 'Electronic Apeman'. You've got a great singing voice as anyone who listens to your tracks like 'Life' would agree. Do you prefer using the effects? a different perspective in the lyrics. if I am using the synthetic voice too much, though. second nature. It's hard work to bring across what I want. 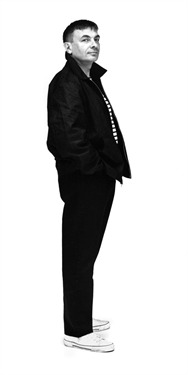 NOOL: Speaking of Bernard, what was the first New Order track you heard and what was your reaction? 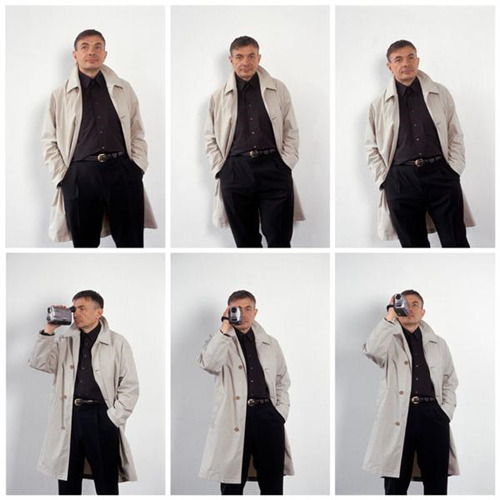 Karl Bartos: Blue Monday – on the dance floor in Paris. It was great. A perfect mash-up of the things I liked. It's still a great track today - an all time classic. NOOL: Apart from 'Blue Monday' are there any other New Order tracks that you particularly like? Karl Bartos: I always liked Regret, World and Crystal – but with New Order it's not a question of singles is it...? machines nowadays or playing a more 'normal' drum kit? Karl Bartos: I think a human should play like a human. Why should he emulate a machine? I don't understand that. A machine beat has that rigid grace and I kind of like that. Andy Warhol used to say that he wanted to be a robot. That was a good headline in the 1970s. Today people are much more aware of technology, I think. I'm playing the piano and the guitar but my main instrument remains the computer. Sound in virtual space is the future, that's clear. In art and science you have the rule, that if you want to break new ground you have to have a new, different perspective for your view on things. NOOL: That's a good point. Do you think that the members of New Order are still breaking new ground? For instance, Peter Hook's new band, 'Freebass' use three bass guitars both in their live and studio set up. Karl Bartos: I can't tell you – I haven't heard it yet. Freebass? Three bass guitars? That reminds me of Phil Spector's 'Wall of Sound' period way back. Peter is just great, no matter what he does, he does it in style. NOOL: I'm sure he'd be very flattered to hear that. I won't ask you, 'How was the collaboration with Bernard and Johnny Marr,' but how did they first ask you to make 'Raise The Pressure' with them? What were your first thoughts? Karl Bartos: Bernard sent me fax. He wanted me to add some electronic percussion tracks to the production. At that time, around 1994, I was free for collaboration or 'crosstalk' anyway and I thought I should give it a try. So, Bernard and Johnny came over to Düsseldorf and we got along very well from the first minute onwards. Johnny was a complete stranger to me, but his presence was all there. I really got to know him and learned about him later. NOOL: Do you ever listen to that album now? What was your favourite track to work on as a percussionist? 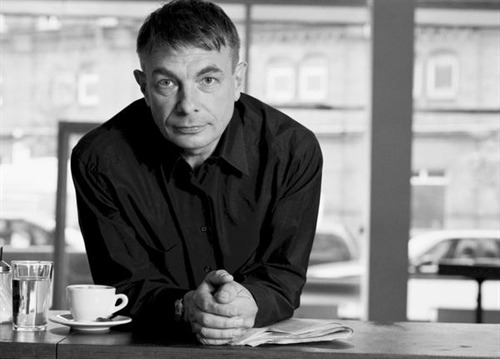 Karl Bartos: Yes – I have it in my car. I don't care about the percussion too much. It's the song, the production and not the work on one particular instrument. I'm not a muso. NOOL: Would you consider working with Bernard and Johnny again if they asked you? Karl Bartos: Oh yes, of course, I miss them a lot. We've got the same sense of humour and that happens very rarely. We meet each other occasionally at concerts and that's always a great pleasure. NOOL: How often do you go to concerts now and what is your next project? NOOL: It sounds like a really interesting project, but if you can't discuss it at the moment, that's fine. Will you be playing more concerts soon? Do you still enjoy playing live? 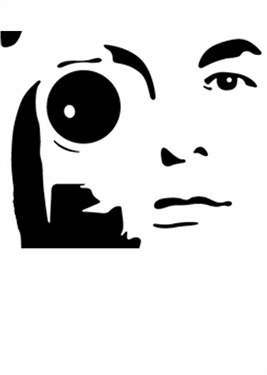 Karl Bartos: Yes, I do! The act of people sharing a particular spot in time and space makes each live concert unique. That means a lot to me, because it reminds us that everything, however valuable, must pass. But also it's a very time consuming business, if you organise it yourself. For us it was not easy to find a good concert/live agency. We're really independent now: studio, record company, publishing, concert agency – everything. And in order to come up with new material we had to shut down the 'live' business for this summer. We're 'back on the streets' in November. It's good fun and I'm really into the so-called "visual music" i.e. the convergence of image and sound. NOOL: Your concerts are pretty much like watching a film with the creators playing the soundtrack live. Would you like to see more musicians experimenting like that? Karl Bartos: There have always been artists experimenting with image and sound. Whether in media art, design practice, acoustic conception, pop and clubbing activities, sound art or the increasingly stretching boundaries between these disciplines – electronically produced image and sound spaces are cropping up everywhere. It's a trend ranging from music clips and synchronized VJ-ing to various interactive forms, including open “net-videos”. So, it will be going on. NOOL: Is there anything you'd like to add, or say to the members of NewOrderOnline? Karl Bartos: To the members of NewOrderOnline? "Well, hopefully we can get the electronic conversation going and this forum will be a distinct platform for a very special Community." "Giving meaning to noise, sound becomes communication." With that, I thank Karl for his time and a really interesting couple of afternoons. He's gracious as always, saying that it's been a pleasure and gives his best wishes to NewOrderOnline as well. He has only just reopened his new website, www.karlbartos.com where you can delve into various aspects of his multimedia work and chat about them in the forum there. The video excerpts especially, are a real treat. Give it a visit and if you like what you see and hear, take Karl's advice - 'Communicate'. © Copyright 2007 NewOrderOnline.com, except the works of other authors. All rights reserved.